I am a professional social media networker and have been for many years. I will share your URL to all my connections. Get social media SEO, real traffic and exposure from my 5000 connections strong LinkedIn network from all over the world. Drive traffic to your website. Get your content in front of a potential audience of millions of professionals. Benefit from viral distribution as people share your content with their professional networks. 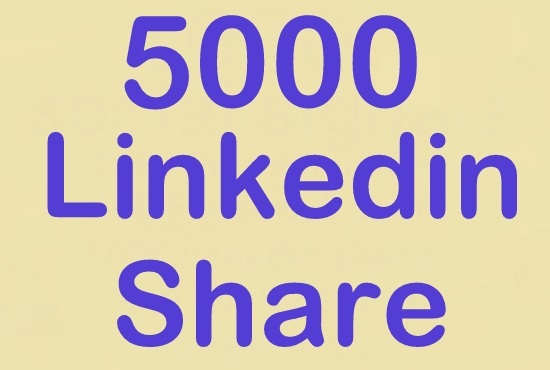 build 5000 linkedin share is ranked 5 out of 5. Based on 29 user reviews.